Remember, remember, elections in November. 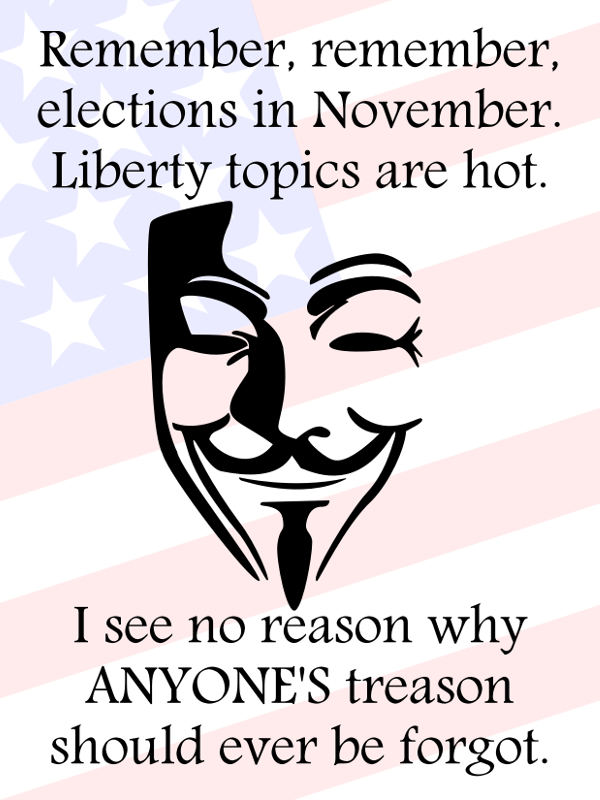 Liberty topics are hot. I see no reason why ANYONE’S treason should ever be forgot.